The 1824 flooding for St. Petersburg, Russia. Once-a-century floods could become commonplace as the planet heats up. Sea-level rise threatens coastal communities. The kind of devastating flooding that occurs once every century along Europe’s northern coastline could become an annual event if greenhouse gas emissions continue to climb, according to a recent study published in the journal Earth’s Future. New analysis takes into account changes in sea-level rise, tides, waves and storm surge over the 21st century and found that climate change could prompt extreme sea levels — the maximum levels seen during major storms, which produce massive flooding — to increase significantly along the European coastline by 2100. This scenario will likely stress coastal protection structures beyond their capacity, leaving much of the European coastline vulnerable to dangerous flooding, according to study authors. “Unless we take different protection measures, five million people will be exposed to coastal flooding on an annual basis,” said Michalis Vousdoukas, a coastal oceanographer at the Joint Research Centre of the European Commission and lead author of the study. Kevin Trenberth, a scientist with the climate analysis section of the National Center for Atmospheric Research, who was not involved in this research, said the signs of extreme sea levels are already worrisome, not just in Europe, but in the United States as well. “Witness the sunshine flooding in Florida already, the flooding that shows up even with no storm on many streets any time there is a slightly high tide,” he said. 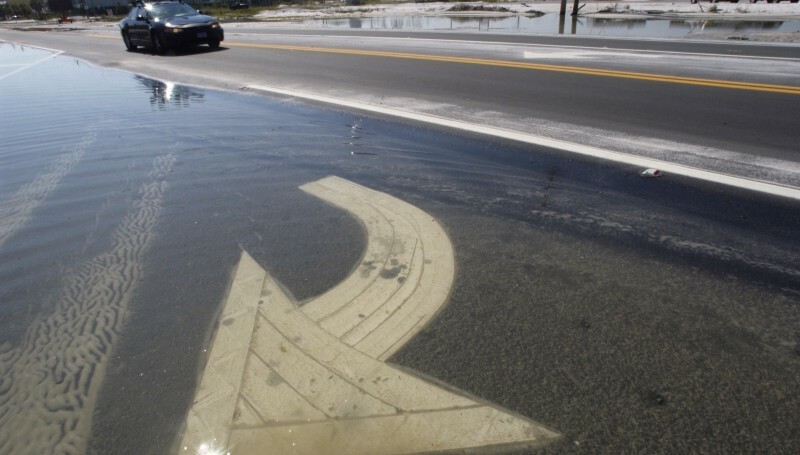 A Florida road flooded by tropical storm Arlene in 2005. Florida is especially susceptible to rising seas. The new paper predicted that some regions could experience an even higher increase in the frequency of these extreme flooding events, specifically along the Mediterranean and the Black Sea, where the present day 100-year extreme sea level could occur as often as several times a year. Information about the number of people at risk from flooding can be used to determine how large the social and economic impact of these events will be, said Marta Marcos, a researcher at the Mediterranean Institute for Advanced Studies in Spain, who was not involved in the new study. “In terms of adaptation strategies and policy-making, it is very relevant,” she said. The researchers studied changes in extreme sea levels by 2100 under different greenhouse gas scenarios and considered how all these components — mean sea level, tides, waves and storm surge — will be affected by climate change. 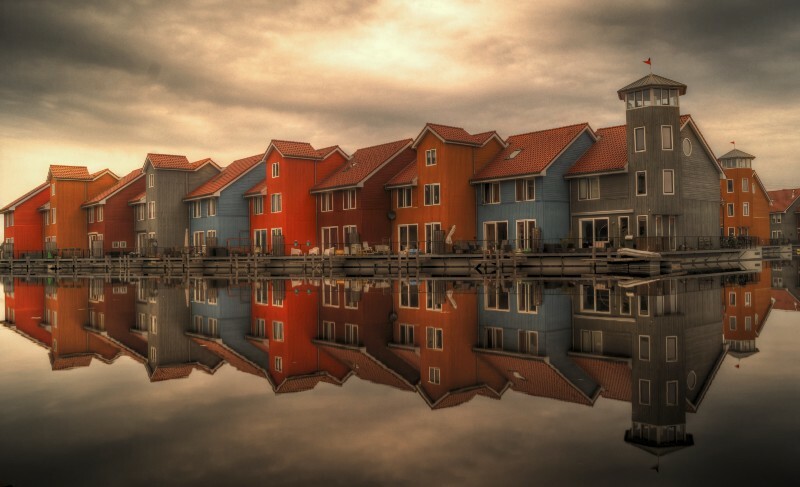 The Netherlands is particularly vulnerable to sea-level rise. If emissions continue to rise unabated throughout this century, extreme sea levels along Europe’s coastlines could increase by more than 2.5 feet, on average, by 2100. Under a more moderate situation, where greenhouse gas emissions peak in 2040, 100-year extreme sea levels still could jump by nearly 2 feet, on average, by the end of the century — with flooding events occurring every few years — according to study’s authors. In a related study appearing in Geophysical Research Letters, scientists found that if greenhouse gases continue to rise, there could be disturbing changes by the end of the century in the energy that waves carry to the coast. In the southern hemisphere, extreme waves could carry up to 30 percent more energy by 2100, according to the study, meaning that stronger waves will become more frequent, and have a greater impact on the coast, said Lorenzo Mentaschi, a researcher at the Joint Research Centre and lead author of the study. The new study attributed the changes in wave energy to the intensification of weather patterns, like El Niño. The new research will be provided to European Union policymakers. The data will also be made public so it can be used by scientists, engineers and coastal managers. PopScience : As sea levels rise, where will all the people go?